May is already shaping up to be a busy, busy month: My college’s big “Innovation Festival” is tomorrow, next weekend I’m throwing a major fundraiser on campus (which has been in the works for over a year) and yes, I’m still on the job hunt, as well. Oh, and graduation is at the end of the month, too! About the same as last month, actually. Taxes are taken care of, and my student loans are slowly but surely now entering repayment. They’ve been split up into three different loans, and the first payment for Loan #1 is due at the end of May. I actually threw some money at the interest on Loans #1 and #2 (they’re in the same account, so I can’t only pay the interest on one or the other, any extra payment gets spilt between the two), but it crept up more than what I threw at it. I’m in a sort of rock-and-a-hard place situation when it comes to my student loans right now. 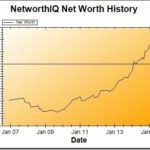 I have enough money in savings to pay off the interest in full, but I worry about dipping into my savings too early, not knowing what the next year or so will bring in terms of income. I don’t want to pay off the interest now and then have trouble making the actual payments a few months later. So for the moment, I’m biding my time. 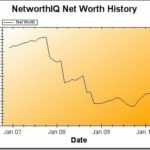 For a look at my assets and liabilities, check out my NetworthIQ for April. 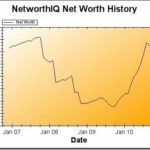 For an explanation of the categories I use, check out the bottom of my entry about February 2008’s net worth balance. Good luck at the job hunt! So here is a financial question for you, I have two student loans: one fixed rate and one variable. The variable one is very low because of the economy. 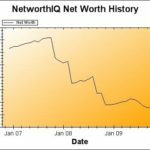 Should I throw extra money towards the lower or higher interest loans? My student loans are my last financial hurdle. My credit cards are paid off. My car note is paid for. But I cannot figure out a way to pay off my loans without stressing my budget. Student loans should be outlawed.